After its short but noteworthy premier in 1958, the Gibson Explorer went out of production until the mid-'70s. 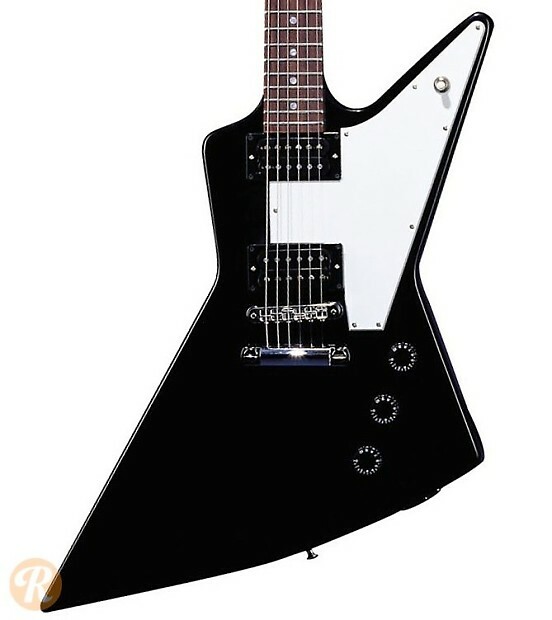 Gibson changed the Explorer design in 1981 to include uncovered "Dirty Fingers" humbuckers, a maple neck with Ebony fingerboard, and chrome-plated hardware. The Explorer remained in production in various formats since, though again went on hiatus at the end of 2012. 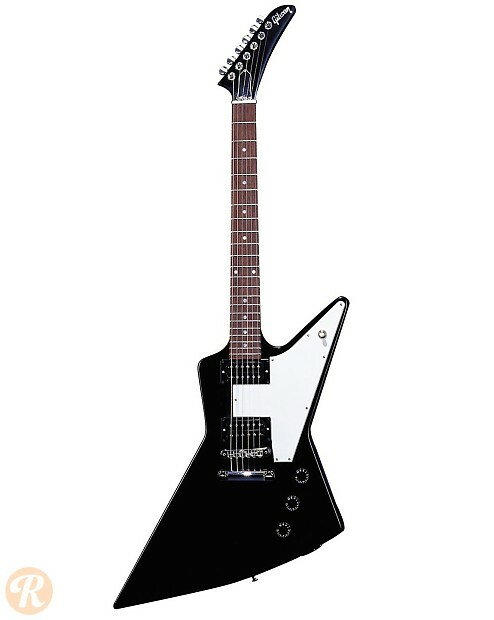 Finish Specification: Ebony was a standard or custom color for the Explorer.